MONKEYS ARE MY FRIEND: I'm Blind! Pair eleven for the year - super bright socks! 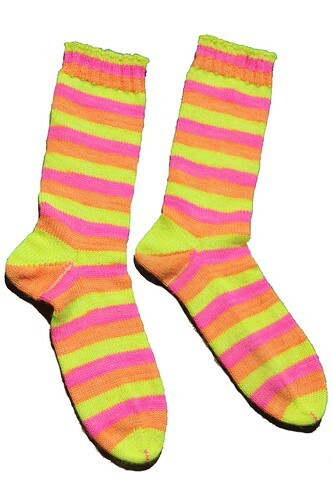 Nothing too special about these other than the fact that they are so neon that they glow even in the dimmest of lights.